Taking care of a loved one can be stressful and we understand that here at Best In-Home Care LLC. As much as you want a moment to yourself, you can’t stand the thought of not being there for your family member in the case that something went wrong. While we completely understand this, we also know that there is a way for you to take some time off while not having to worry about your loved one. Respite care is a service that allows family members to take a break for a few hours a week, a few hours a day or more. This service is productive because it will let you take a break from the considerable stress that you experience from taking care of your loved one. We also understand that it can be stressful to decide is respite services are right for you and your family, so we have made a list of ways that you can prepare yourself before you start respite care. The first and the most important step of this process is figuring out what you need. Do you need one whole day off during the week? Or do you just need a couple hours a day? This is an important step because, in order to be able to take care of your loved one, you need to take care of yourself and allow yourself time to rest and recuperate. While it’s important for you to determine the amount of time that you need every week to take care of yourself, it’s also important to make a list of what your loved one needs. Does your loved one need therapy? Meals cooked for them? Exercise? Once you have determined both your own needs and the needs of your loved one, it might be time to contact an in-home care company. Now that you’ve determined what you need, and contacted an in-home care company, it is time to meet your caregiver and tell them what you need. We understand it might be hard for you to relax for a while, after all, you’ve had to do everything yourself; you aren’t used to taking a step back. While we know that it will be hard for you to relax, you have nothing to worry about because our caregivers are the most professional, reliable and friendly caregivers in the industry. When you meet our caregiver, please don’t hesitate to ask any questions that you have because as we are here to help you relax while providing you with peace of mind. Also, don’t be scared to tell us everything that your loved one needs so that we can ensure the best quality of care. Now that we are there, you have nothing to worry about! Enjoy your break, and we will take care of your loved one. 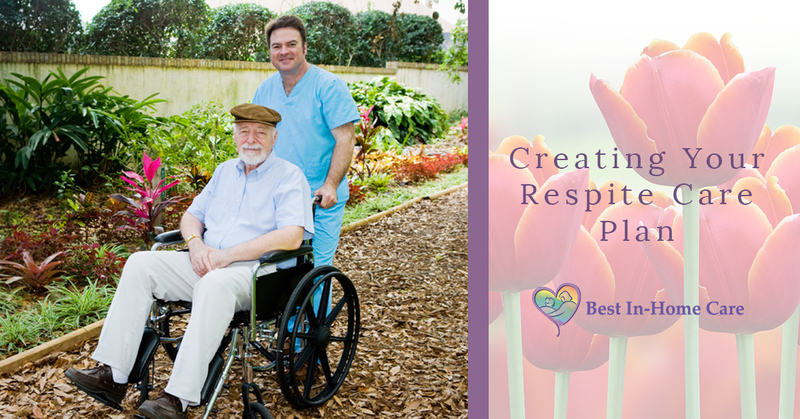 Respite care is the perfect way to take a break and take care of yourself while also ensuring that you loved one is taken care of, and at Best In-Home Care LLC we are here to provide you with that service. Please don’t hesitate to contact us for a free in-home assessment.